So I ordered a couple of things before I left for Christmas vacation and had them shipped to my parents house so that they would be there when I arrive. I ordered a Vera when they were on sale for $39.99 and I ordered a blanket in Very Berry Paisley when they were on sale and there was free shipping. I will say that they arrived safely and the contents of each box were okay, but check out these boxes. It totally could have been a different story. This box had two sides were the tape came undone. Vera Bradley shipping does not use a strong enough tape. Look how far I can open the box! I couldn’t believe it. I was able to reach in and take the Vera bag out without even having to undo the tape from any of the sides. Then there is this box, the tape cam undone on one side. Not as bad as the first box, but I think that it really illustrates the fact that something needs to change. Vera Bradley charges more than any other place I order online from. That is fine, I accept it and wait until they have specials or partner up on orders with family or friends. But for what we pay the shipping materials should be a little higher quality to make sure that what we order actually arrives save and sound. I have friends who have mentioned this to Vera Bradley customer service in the past and nothing has happened, but if we all let them know when we receive something that is less than satisfactory then maybe a change will be made. Everything else I ordered from other companies was sealed with brown packing tape with the strings through it. Why can't they use stronger tape? Anyone else have their packages arrived open? Wow! I think I will just shop in stores instead of online until they fix that. For the amount we pay to have it shipped, it should be much better than that. ALL OF THE TIME. 99% of my packages that arrive from VB.com look like this and it's very frustrating. At least they use to put them inside a nice box too but now you have to pay an extra 4.95 for a gift box that use to be free. Very frustrating when you're already spending a lot on the items you buy as well as their shipping charges. Yep! But what is the solution? How do we let them know we are unhappy as a large coordinated group? I think planning and coordination are key, rather than just lots of individual customer service complaints, personally. 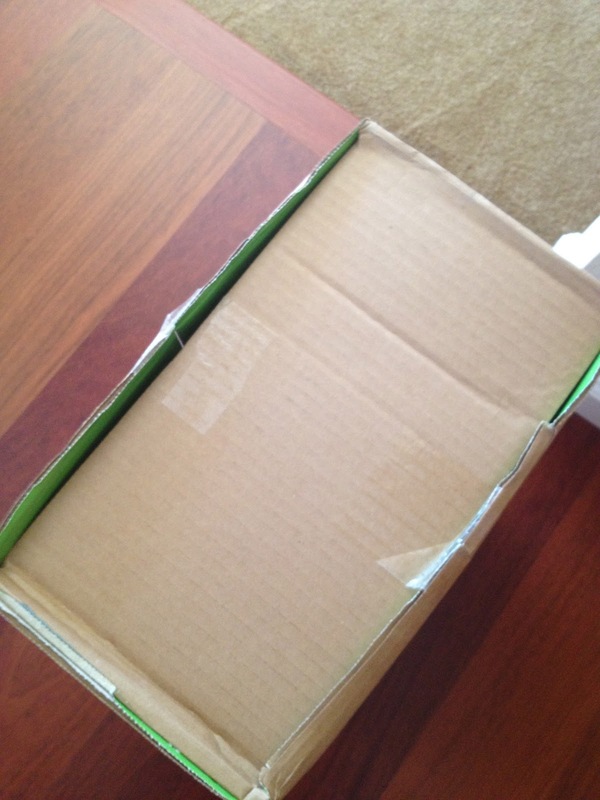 I think that if you receive a box that is not acceptable you should take a photo and share it with customer service. Good idea. I have two orders coming. Cannot wait to see what the boxes look like. I really miss the quality boxes and wrapping that Vera used to do. It made me feel special when I received nicely wrapped boxes. So sorry this is happening to multiple people including you. I once had a box arrive with NO tape whatsoever. Just folded in on itself, although the contents were fine. I have called customer service and they said they'd make a note of it, but we all know what that means. Their shipping is really high and I agree that the cost needs to be accompanied by some quality materials or more attention to detail. Wow, that is a really big oversight. I, too have had similar experiences. The shipping cost is high in comparison to other online retailers. It would be nice if they gave an offer like Amazon where if you spent $25 you receive free shipping. Also, in general VB needs better quality control. I have placed at least a dozen orders in the past year and this has never happened to me. Glad your items arrived okay! They DO need better quality control. I've been a big Vera fan for years now, but the fabric has gotten thinner, less durable, and the stitching is atrocious on some of the bags I pick up in the stores I shop at. I returned two pleated totes with holes in the pockets. This has happened since the time they began to be outsourced mostly to China. I'm still a fan...love my Veras...but if the fans don't let them know about these things, who will?? I've never had an issue. I would be upset if it kept happening. Hope you are offered a solution! I also had the same problem with two separate packages ordered about a month apart. The first one was when the stadium blankets were on sale, it was totally opened on the side, but luckily nothing was damaged. The second one had a grand traveler and a large cosmetic. The tape was completely off of the front of the package and only one piece (which was pulled) was attached to each side. I was very disappointed in the quality of the boxes I was sent, as well as the fact that at any time someone could have just taken my items out of the package, they were that open! The shipping on the grand traveler was free, however on the blankets I did pay for shipping, and like you said they charge more than any other retailer I order from. I didn't even think to contact them about it, I just assumed it was my package handlers being rough with them, but now that I see others with the same issues I'm thinking about giving them a call. I'm glad you brought this up Allison. 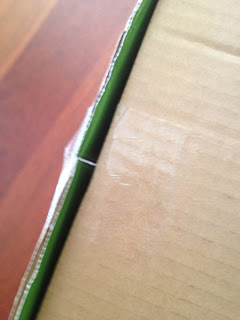 I just received an order a few days ago and the box was barely held together with tape. 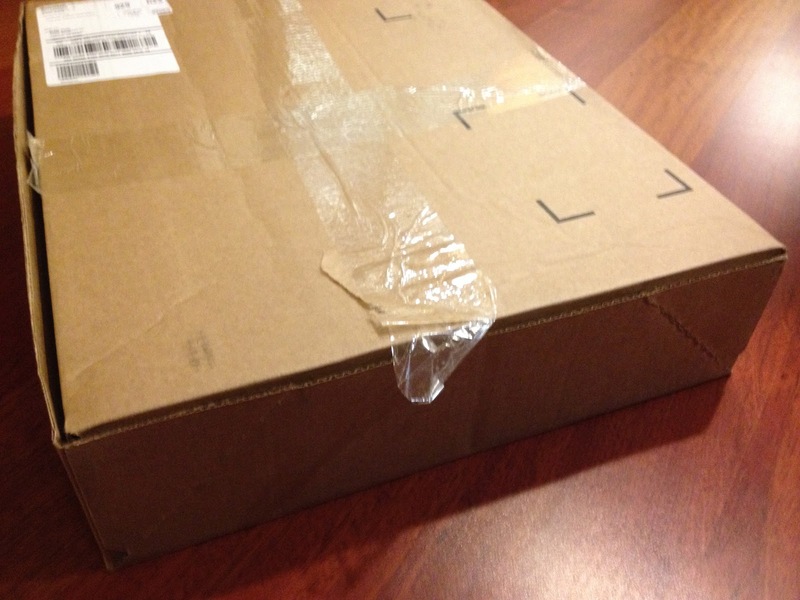 I have never had an issue with this in the past and was ready to blame the post office for the condition of the box. I was so fearful that something fell out of the box or was damaged. Looks like I need to take this up with VB. I received two orders between Thanksgiving and Christmas. Both orders were free shipping and both traveled via Fedex until they were local & my mailman brought them. Both boxes were like the pictures you posted. I should've called customer service. I was amazed my items were still in the boxes and not damaged. I've had this happen several times. The last time it did, I called customer service. The representative I talked to seemed surprised. I had a few boxs that arrived that way as well. None of my items were damaged or missing so I did not call customer service. I did however receive one package from the outlet that arrived in a mess! They just threw my items into the box, I was not happy and I did call customer service about that shipping mess. Agree with your comments. I live in NC and it easily takes 2 weeks for me to get my Vera items. They charge a lot for shipping and to top it off they use SLOW, cheap shippers. Wow. 2 weeks to get to you when you live in NC? That's crazy. I thought their shipping w/in the lower 48 was usually pretty quick?! Nope. 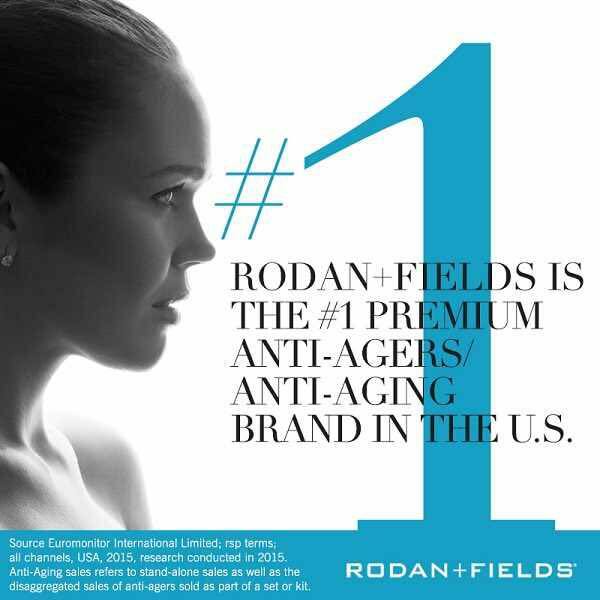 Still waiting on an order placed before Christmas! If you order from a store or outlet, the boxes are much more secure, at least the outlet where I work. Shipping charge is the dame. I've had this problem too. If Zappos has the items I want, I purchase from them instead (free shipping + better packaging). But, they don't carry the entire VB line, nor do they offer the great sales, so sometimes ordering direct from VB is the only way. Good tip about Zappos. Thanks. I've had some of the same packaging problems everyone is talking about, my last order though was surprisingly ok. I have a bigger issue with the quality lately. Threads hanging all over and pulled stitching in the quiliting. If I order 2-3 items I can guarantee that at least one thing will have something wrong with it. Then I have to pay to send it back and not even get a replacement, just a credit. Then I'm without the item because I'm not paying another $8.00 to ship a $15.00 Tech Case. I LOVE Vera but this is so frustrating as a customer! They should do exchanges, especially when the new item they sent me is defective. Yes, lots of quality issues here too. They do not offer exchanges either if you call. It is crazy strange??? I recently purchased a Three-o Tote in "Rhythm and Blues". When it arrived, there were a lot of over-lapped stitching...which is something that really bugs me. What I mean by that is, instead of the 'diamonds' meeting up evenly (point to point), they overlap each other. To me, this just looks sloppy. I have a few pieces that have small areas that overlap but this bag was just awful...it was all over. I know this may sound petty to some but, if I'm going to spend the money, I want it to look right. So, I called VB Customer Service and they sent me a pre-paid FebEx label...they said to send it back and they would have someone look it over. Said that if they agreed on the stitching being messed up, they would send me a new one (if it was available) or credit my account. However, if they didn't see anything wrong with it, they were going to send me the same bag back and not refund me. I just thought that was crazy...especially (since I live in Alaska) it would take 3 weeks to get to them, have to wait for them to figure out what they were going to do with it, and if they sent me the same exact bag back, it would take another 3 weeks to get back to me. Just seemed like a waste of my time. I ended up going to my local Hallmark and they sent it back to me, for free. The Hallmark manager said they will automatically credit my account. Unfortunatley, that bag is no longer available...so I ordered that print in a Mandy. Hopefully it arrives with some good quality stitching! Here is what I think the problem is: Vera Bradley is now a publicly owned, stock selling company listed on NASDAQ. Their earnings haven't met forecasts and management is under a LOT of pressure to perform. The stock price has edged down in recent months, which isn't good -- especially since Vera Bradley seems to be EVERYWHERE. As a result, they are desperate to cut costs. As others have mentioned, the quality is down on some items. When they dropped the price of the Barbara from $188 to $128, I bought it in Dogwood from a local retailer (one of VB's top partners in the U.S.) Unfortunately, I had to return it: the outside pocket was crooked and the fabric on the bottom of the bag was uneven and the straps weren't even sewn in the same place so the two sides didn't match!! And this is the jewel in their crown! I don't blame China (hey, COACH bags are made there too, I bet) but I blame management for ACCEPTING THE POOR QUALITY IN THE FIRST PLACE. They need to realize that their buyers are often involved in the home arts -- like quilting -- and THOSE WOMEN KNEW POOR SEWING. Maybe the kids don't care, but the kids will switch to the Next Big Thing in a few years so VB has to count on cute designs, clever products and outstanding service and quality to keep its loyal buyers. I agree! I wish the patterns weren't so beautiful. I really need to break my VB habit. Thank you so much for this information. I did not know this. I am so frustrated with their poor quality and they are about to loose me as a customer b/c I have received and also seen in stores so many defective items in the past year. I kept a horribly sewn hard eye glasses case that I ordered online b/c in essence it "works" and I can use it but the sewing is so bad! I wanted a Mandy at my store and I had to put it back on the shelf bc the sewing was so horrible. Also returned a Little Mandy that I bought for her for Christmas b/c the handle was pieced together and had long lines of thread. I wish I had taken a picture. It was the craziest example of declining quality I have seen. I am waiting for the first order I've placed in a while. Hopefully the box/tape will be in better shape! One thing I am really disappointed in is the SLOW shipping! I placed the order on 12-28 and it is not expected to arrive until 1-7. Even with the holidays, 11 days is excessive for traveling from Indiana to Florida! 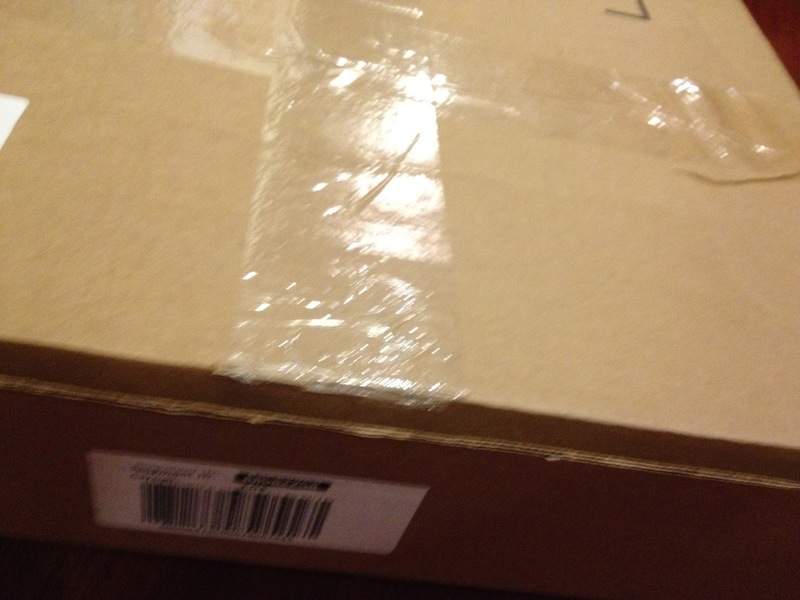 This "FedEx Smartpost" shipping is a joke! On another note, I went to a local retailer to check out the VB sales and noticed that I did not find a single example of poor sewing or problems. The Barbara that I returned was not on the shelf. I wonder if they're sending out "seconds" to online buyers or people who buy on sale ... or maybe this retailer (one of the top VB sellers in the US) gets the "good" ones. Good for you! I regularly pull poorly sewn bags off the shelves and the store employees send them back as damaged. It is crazy what is going on! I give Vera Bradley credit: they posted my comment about the BARBARA purse and its poor sewing. If I'm lucky, I may find a good one at the VB warehouse sale this April! I have stopped writing reviews. I try to be honest and say exactly the problem with the item ie poor sewing but every time I get an email saying my review does not meet their guidelines. I don't see too many reviews discussing issues like we have in this post. All seem to be positive. I have written both positive and negative reviews and only the positive ones make it online. I no longer waste my time. I ordered a hat and gloves on 12/28, and they are not expected to arrive until 1/7. I live in Ohio, so it should not take this long to get an order from Indiana. 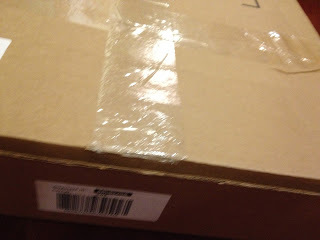 When I tracked it, it had arrived in my city on 1/4, but because of the FedEx Smartpost I won't see it until 1/7. I have also looked on Zappos with some luck. At least the shipping is free and there are free returns. The shipping prices also get me angry. Having to spend $100 just to get free shipping is ridiculous. I do have a VB store very clos to me, but often the sales items I want are not in store. The first of my 3 Vera orders arrived Sat. via SmartPost. The box was in perfect shape. One of 6 items defective. One with super poor sewing (not counting that as the defective one b/c poor sewing now "normal" I guess! It's not even just the bags that are going down in quality. Granted, I haven't had any issues with loose strings or really bad sewing, but most of my products come from local retailers. However, the metal hardware is HORRIBLE quality now! I get a new Lanyard every year for Christmas and last year, the "metal", aka the silver paint, started coming off and gave my hands a metallic smell whenever I touched it! That had never happened before and I thought maybe it was just that one or certain key of mine, but it happened again this year the day after I put my keys on the ring! I ordered something in the Winter Sale on Friday, I'm anxious to see how long it will take them to ship my item out. 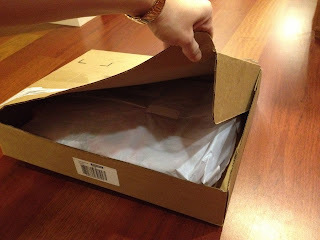 It used to be that if you asked for a gift box, they sent your purchase in a heavier shipping box that protected it well. Now, they charge for a gift box (for each item) and the shipping boxed w/o a gift box inside are flimsy and weak. The runs and pulls in the fabric is honestly discouraging, it's why I have only been able to buy one Ribbons item as the white runs on the navy are so unsightly I can't look at them. It is really discouraging to hear this, as I love VB. I bought a Weekender online and it's supposed to arrive this week. I'm nervous to see if it is badly sewn and how the box holds up. The FedEx shipping has been ridiculous as well...I live in SC and my package has so far gone to Atlanta and Charlotte...passing my city probably twice. It looks like VB won't be receiving any more of my money, as a lot of the things I'm reading here are making the company seem pretty fishy. Hey there! Do you know where I can get some shipping boxes in Phoenix?